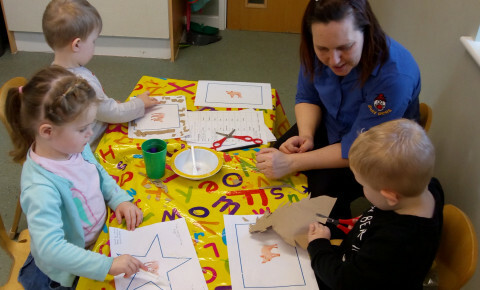 Busy Bees at St Davids - exploring pigs in preschool! 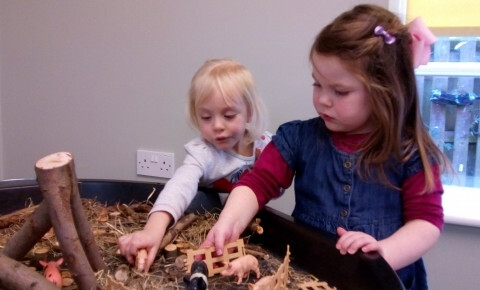 This week as part of their farm topic our preschool children are exploring pigs. 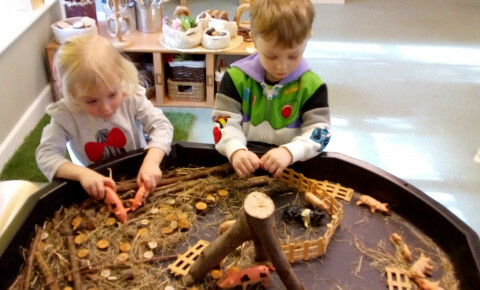 They are having lots of fun investigating the story of the 3 little pigs. 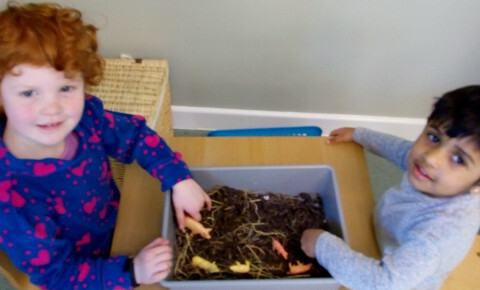 making houses in the sensory area, creating 2D shape collages where the children have had opportunity to develop their scissor control and they've been moulding and manipulating the mud dough too. Next week they're planning some activities around cows and horses so watch this space!